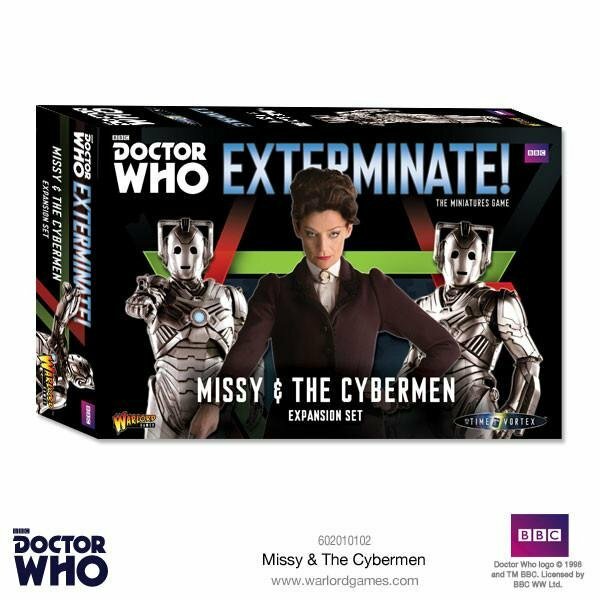 Missy & the Cybermen gives you twelve easy-build plastic Cyberman miniatures and an exclusive metal miniature of Missy - the latest incarnation of the renegade Time Lord, the Master. In addition, new Recruitment and Adventure cards allow the Cyberman faction to upgrade their weapons and armour, move at time-distorting quicksilver pace or cyber-convert opponents into new warriors for your faction. Missy and her unique Adventure cards will also prove invaluable to the Cybermen bringing Time Lord quile and invention to their mission to upgrade the Universe! Also included is assembly and painting advice for those who wish to make their Cybermen even more authentic looking.